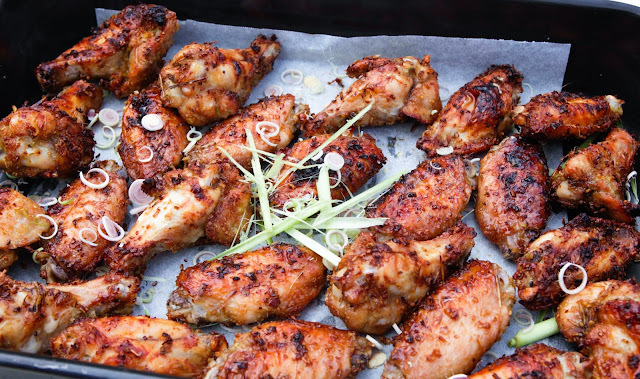 Chicken wings are one of our family favourite’s and these fresh lemongrass and kaffir lime chicken wings are a hit whenever we are hosting or bringing a dish to potluck. 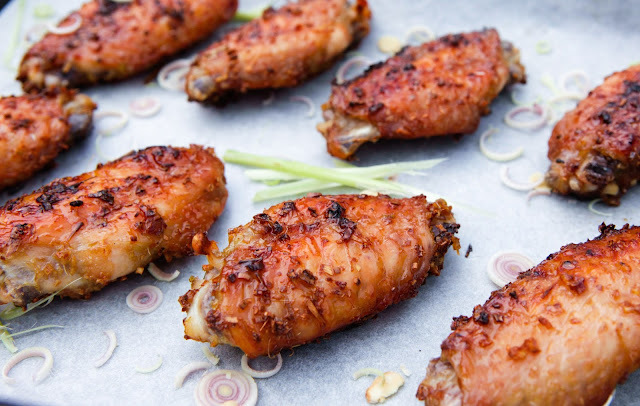 They also taste great at room temperature so they make a great party platter that you can leave on the table. I serve them up for the kids with veggie sticks to keep up with the finger food theme. The combination of both fragrant lemongrass and kaffir lime leaves are what make this recipe special so don’t leave either of them out! They both can be found in most Asian grocery stores, if you really cannot find kaffir lime leaves, you could substitute with some grated lime rind. 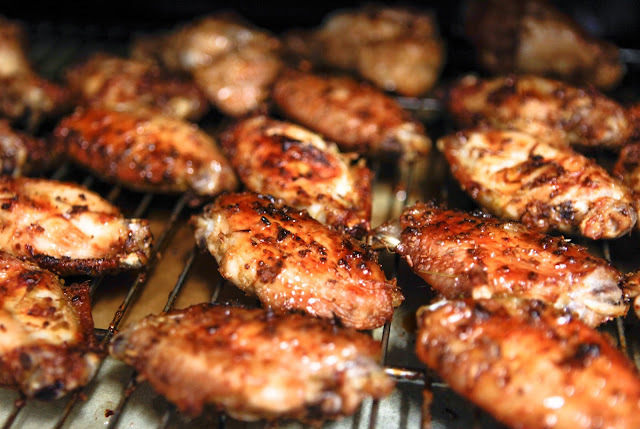 You can prepare and marinade the chicken wings (drumsticks work as well as any part of the chicken you like) the night before to save time or freeze any uncooked marinated wings for a quick meal later on. 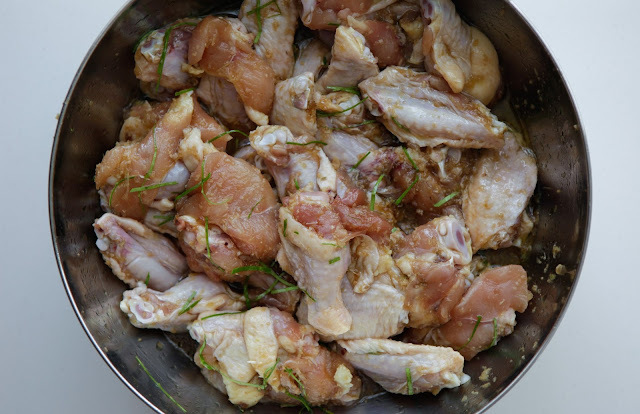 Mix all the ingredients with the chicken in a bowl. 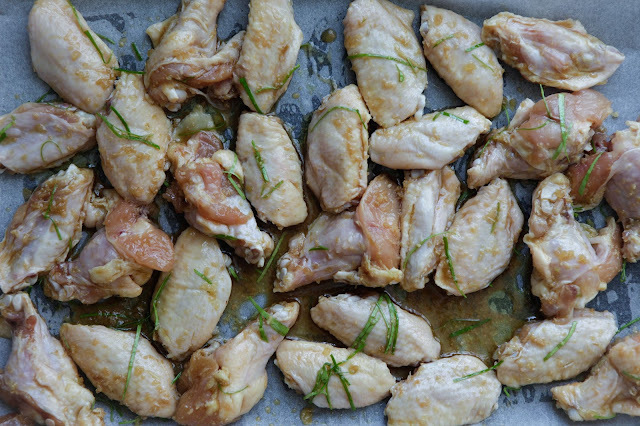 You can marinade a day ahead or freeze them to cook later on. CUCUMBER HAMWICH AND FERMENTED CARROT STICKS’, so yummy and yet very different. I will make this one real soon. Thanks for the recipe.